The SOA Advisory Board meets between two and four times per year, providing feedback to the SOA director, faculty, and students. Terri Fujii is an audit partner at CW Associates, CPAs, the 8th largest CPA firm in Hawai‘i, as ranked by Pacific Business News. Previously, Fujii was the managing partner of the Ernst & Young LLP, Honolulu Office and a partner in its Assurance Services practice. She has 29 years of experience in financial and internal audits, financial analysis and feasibility studies, cost management, organizational planning, operational reviews and corporate compliance issues. Fujii has worked with healthcare, not-for-profit, lodging, airline, state government, and retail clients, and private and publicly held companies in Hawaii. 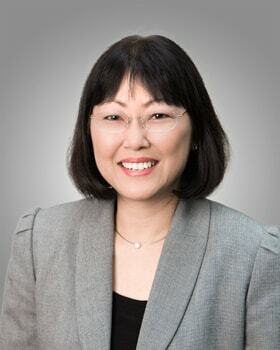 Fujii received both her bachelor’s and master’s degrees in accounting from the University of Hawai‘i at Mānoa Shidler College of Business, and is a Certified Public Accountant, licensed in the state of Hawai‘i. She is active in the community serving on the boards of Easter Seals Hawaii; Hospice Hawaii and Aloha United Way. She also serves as the chair of the Shidler College School of Accountancy Advisory Board and as a member of the Shidler College advisory board. Fujii currently is an instructor for intermediate and graduate accounting courses for the School of Accountancy. She was inducted into the Shidler College of Business Hall of Honor in 2007. Area Sales Manager | Wells Fargo Bank, N.A. Manny August is the area sales manager for the mortgage division at Wells Fargo Bank, N.A. He is responsible for the sales team for the state of Hawai‘i and sales offices located in Corona California. Before entering the mortgage industry, he previously held his CPA license with KHM LLP (previously known as Arthur Andersen LLP), as a senior accountant in the Audit and Consulting Services Division. He received his bachelor’s degree in accounting from the University of Hawai‘i at Mānoa Shidler College of Business, and was previously a Certified Public Accountant, licensed in the state of Hawai‘i. He is active in the community and assists on various charities which include Habitat for Humanity, Family Programs Hawaii, American Heart Association and The Blood Bank of Hawaii. 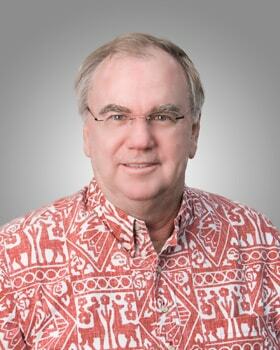 He also assists with the Shidler College School of Accountancy Advisory Board and the Hawaii Academy of Science Board. Carey Carpenter leads Deloitte & Touche LLP’s Advisory Services Practice in Honolulu, HI. Carey has almost 20 years of consulting and audit experience in the areas of internal control, risk management, governance, internal controls, and information technology. Her industry experience includes financial services, consumer business, health care, education, government, real estate, and not for profit. She has worked with her clients in the areas of enterprise risk management, corporate governance, internal audit, regulatory compliance and information technology controls. Carey’s experience combines operational, compliance, financial reporting and information systems experience which enables her to help her clients design and implement positive change within their organizations. Additionally, she also works with management and boards to improve organizations’ governance, risk management, and compliance programs. As the advisory services practice leader for the Honolulu office, Carey leads general information technology controls assessment activities for Deloitte’s financial audit clients in Hawai‘i. She is also an experienced internal audit leader, responsible for serving several large organizations with internal audit co-sourcing services. Carey is past president and a board governor for the Institute of Internal Auditors Hawai‘i Chapter. 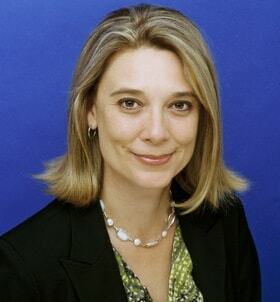 Carey transferred to Honolulu in 2008, prior to that she was based in the San Francisco office of Deloitte. State Representative Isaac W. Choy is the only CPA in the Hawai‘i State Legislature. He serves as chairman of the House Committee on Higher Education and is a member of the committees on: agriculture; economic development and business; education; tourism; veterans, military, and international affairs & culture and the arts. In 2013, Representative Choy was one of 48 state policymakers from across the country selected as a Council of State Governments’ Henry Toll Fellow. The Toll Fellowship Program named for CSG founder Henry Wolcott Toll, is one of the nation’s premier leadership development programs for state government officials. Prior to running for office six years ago, he was heavily involved with HAPA’s legislative activities. He is a past HAPA state president, HAPA state treasurer, and currently serves as the HAPA O‘ahu chapter director. 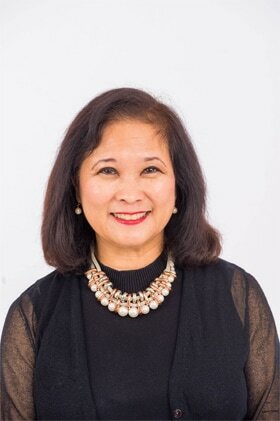 Representative Choy currently is principal of IWC, LLC, CPA, and was a principal and founder of Manoa Consulting Group, LLC, CPAs (formerly Isaac W. Choy, CPA, Inc.) from 1983 – 2010. Representative Choy served as past chairman of the Tax Review Commission from 2005 – 2007. He served as a DCCA RICO adviser on accountancy matters for 12 years. He also served for many years as a peer reviewer and is a frequent lecturer for HAPA and other accounting organizations on tax and accounting matters, peer review, and ethics. He is a member of the American Institute of Certified Public Accountants, American Society of Chartered Life Underwriters, Hawaii Association of Public Accountants, Hawaii Society of Certified Public Accountants and University of Hawai‘i School of Accountancy Advisory Board. Representative Choy graduated from San Jose State University with a BS degree in business administration. He was honorably discharged from the U.S. Marine Corps. He is currently the board chairman of the Honolulu Community Action Program (HCAP) and has a long history of serving various local community nonprofit organizations in various capacities. A graduate of Roosevelt High School, Choy is married to Laurie M. Choy. They have three children – Isaac W. Choy, Jr., Michael K.W. Choy, and Ashley H. Choy. He enjoys traveling and is dedicated to helping his fellow HAPA members, his House District 23, and the state of Hawai‘i. Brenda is a financial and operations consultant specializing in merger & acquisitions, bankruptcy and financial and operations management for small companies. Prior to becoming a consultant, Brenda spent 20 years in the airline industry where she served as manager of financial analysis, controller, CFO and executive vice president and chief operating officer of Aloha Airlines Inc. Before joining Aloha, she was with Arthur Young and Company (now part of Ernst & Young) for seven years as a member of the firm’s audit practice. Brenda is a member of the Hawaii Society of CPAs where she has been on the Board of Directors since 1993 and is a past president. She is also a member of the American Institute of Certified Public Accountants and has previously served two terms on its Governing Council. She is chair of the Mary Star of the Sea School Board and a member of the Parish Finance Council. Calvin Hangai is a senior vice president and controller of First Hawaiian Bank. 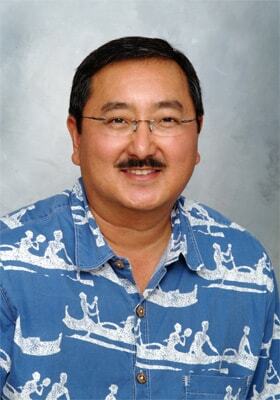 Previously, Calvin was the administrative deputy auditor with the State of Hawai‘i Office of the Auditor. He also served as an assurance manager with KPMG LLP. Calvin has 19 years of experience in financial management and analysis, as well as financial, compliance, and performance audits. He has worked in various industries including financial institutions, government, not-for-profit, and education. Calvin received his bachelor’s degree in accounting from the University of Hawai‘i at Mānoa Shidler College of Business, and is a Certified Public Accountant, licensed in the state of Hawai‘i. Calvin currently serves as a member of the Shidler College School of Accountancy Advisory Board. He is also a member of the American Institute of Certified Public Accountants, and previously served as treasurer of the Association of Government Accountants, Hawai‘i Chapter. Rodney Harano is a managing partner at CW Associates CPAs and has over 30 years of experience in public accounting as a partner in CW Associates, CPAs, and as a sole practitioner and partner in other local accounting firms, following an introduction into the profession with the international accounting firm of Grant Thornton. The focus of his professional experience has been businesses and their owners. Rodney obtained a MBA from Chaminade University after graduating from the University of Hawai‘i with a bachelor’s degree in accounting. He is a certified public accountant, licensed in the state of Hawai‘i, and a Chartered Global Management Accountant. He is a past president of the Hawaii Society of CPAs who also was Hawai‘i’s first member of the Board of Directors of the AICPA. He continues to serve on select committees of the AICPA. Rodney is also a past President of Oahu Country Club and served as the treasurer of the Honolulu Council of The Navy League. Shawn Hasegawa is a partner with Fukuya Hasegawa Partners, LLC (FHP). She has been assisting clients for more than 21 years and was previously a manager at Deloitte and Touch LLP. Shawn has experience providing business, personal, trust and fiduciary tax, consulting, and financial reporting services. She also helps to develop students into professionals through the firm’s internship program. Shawn received her Bachelors of Business Administration degree in Accounting from the University of Hawai‘i at Mānoa and is licensed as a Certified Public Accountant in the state of Hawaii. Shawn was previously the Treasurer for the National Kidney Foundation of Hawaii and currently is a member of the American Institute of Certified Public Accountants, the Hawaii Society of Certified Public Accountants, and Hawaii Association of Public Accountants. Brent Igawa is currently a vice president and an operational risk manager at First Hawaiian Bank, Hawai‘i’s largest and oldest bank. He has 16 years of experience in various external audit, internal audit, and risk management roles. Mr. Igawa’s background includes government, retail, not-for-profit, construction, and banking. He also has experience in controls and process improvement, fraud identification and mitigation, insurance, treasury and capital markets, and electric markets. Mr. Igawa received both his bachelor’s degree in accounting and finance and a master’s degree in accounting from the University of Hawaii at Mānoa Shidler College of Business. He also holds a Certificate of Ethnic Studies from the University of Hawai‘i at Mānoa. He is a non-practicing Certified Public Accountant licensed in the states of Hawai‘i and California, and also holds Certified Internal Auditor and Certified Investments and Derivatives Auditor designations. Mr. Igawa is a member of the Shidler College School of Accountancy Advisory Board, and has served as the Treasurer for the St. Clement’s School’s Na `Ohana Board. He is also a 2014 graduate of the FBI Citizens’ Academy. With more than 30 years experience in the financial industry, Isono was previously the bank’s Chief Operations Officer for nine years, and prior to that served as executive vice president at Bank of Hawaii. During his 18-year tenure, Isono was responsible for the bank’s operations after working more than 15 years in its controllers division, where he served as controller and chief accounting officer. Isono also worked in public accounting at Ernst & Young’s Honolulu Office. He is a certified public accountant, certified internal auditor, certified management accountant and chartered bank auditor. Active in various community organizations, Isono currently serves on the board of Mid Pacific Institute, University of Hawai‘i Koa Anuenue and Friends of the UH Cancer Center, Diamond Head Theatre; and is an executive committee member of the Sheraton Hawaii Bowl, Diamond Head Classic and the Japan-American Society of Hawaii. 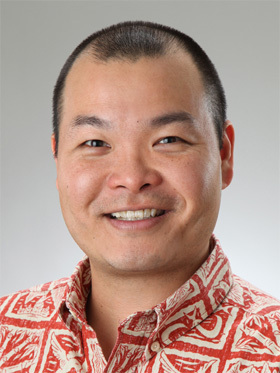 A graduate of the Executive Management Program at Stanford University and the Advance Management Program at the University of Hawai‘i at Mānoa, Isono holds a bachelor’s degree in business administration from the University of Hawai‘i. 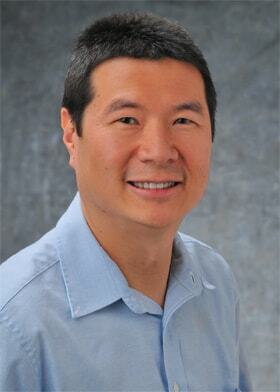 Kent H. Kasaoka has joined AATS LLC as a director where he is responsible for managing the firm’s client engagements. AATS is an affiliate of local accounting firm KMH LLP. Previously, Kasaoka worked as a CPA with Sterling & Tucker Inc. and prior to that, as a CPA at CW Associates.He is a Certified Public Accountant (CPA), licensed to practice by the State of Hawai‘i since 2002. Kent is active in professional and community organizations, including the Hawaii Society of CPAs, Hawaii Public Health Institute, Punahou Alumni Association, and Young Business Council. Kurt is the current Chair of the Hawaii Council of Revenues and was the former director of taxation, State of Hawai‘i, 2003-2010. Subsequent to serving as tax director, Kurt was a principal (i.e., Partner) with the Beverly Hills law firm of Hochman, Salkin, Rettig, Toscher & Perez, PC until returning to Hawaii in 2016. Kurt’s law practice includes advising clients on international and domestic (federal, state and local) taxation, business, and estate planning, and representing clients in civil and criminal tax controversies before the IRS, state tax departments, administrative boards, and federal and state trial and appellate courts. Kurt has been a lecturer at the University of Hawai‘i since 1995. He is a fellow of the American College of Tax Counsel, a Certified Specialist, Taxation Law, State Bar of California Board of Specialization, and earned his graduate law degree in taxation (LL.M. in Taxation) from Georgetown University Law Center. Kurt has served as chair of the Hawai‘i State Bar Tax Section and the HSCPA Tax Committee (as well as serving as a director), and been on the Advisory Board of the Hawaii Tax Institute, the UCLA Annual Tax Controversy Institute, served as a director of the California Society of CPAs Los Angeles Chapter Asian Business Forum and State Bar of California Tax Section Executive Committee. In addition to earning awards from the AICPA and HSCPA, Kurt was the President of the Western States Association of Tax Administrators (i.e., association of state revenue departments in the Western United States). Kurt teaches taxation courses including Multijurisdictional (international and state and local taxation), Partnership Taxation, Estate and Gift Taxation and Planning, Advanced Corporate Taxation, and Taxation of Entities. Cindy provides management oversight and administration of Bank of Hawaii's accounting operations, and month-end reconciliation process. Her primary focus is to ensure that functions are being performed efficiently and effectively, while maintaining appropriate risk management. She is also responsible for evaluating and implementing business process and system changes for the Bank. She joined the bank in 2010, as a reserve analyst performing the quarterly analysis of the Allowance for Loan and Lease Losses (ALLL). In 2014, Cindy implemented the adoption of the 2013 internal control framework as set forth by the Committee of Sponsoring Organizations of the Treadway Commission (COSO) for the entity, as part of the Sarbanes Oxley (SOX) program for the Bank. Prior to joining Bank of Hawaii, she worked at Ernst & Young and Central Pacific Bank. She received the business administration degree in marketing and international business, and a master’s in accounting from the University of Hawaii at Manoa. Cindy is a non-practicing Certified Public Accountant, licensed in the State of Hawaii. Addie has served as the Information Security Officer at Hawaii National Bank since June 2013, where he is responsible for developing and maintaining the bank’s information security program. He previously served 8+ years as an Assistant Vice President and Senior IT Auditor at First Hawaiian Bank where he planned and performed IT, operational and compliance audits. Addie earned a bachelor of business administration degree with a major in accounting from the University of Hawaii and has worked in diverse technical environments including Windows Active Directory, Mainframe RACF, UNIX, and Tandem. Addie is a Certified Information Systems Auditor (CISA), STAR PIN Security Certified Technical Guideline #3 Auditor (CTGA), Microsoft Certified Systems Administrator (MCSA) and Microsoft Certified Systems Engineer (MCSE). He is currently the President for the Information Systems Audit and Control Association (ISACA) and a technical contributor to Control Objectives for Information and Related Technology (COBIT) version 4.1. 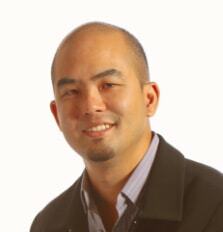 Ross R. Murakami is one of the founding partners of KMH LLP. He began his public accounting career in 1987 after graduating from the Shidler College of Business and since then served organizations located throughout the Pacific Basin operating in a variety of industries, including real estate development, construction, retail and wholesale distribution, government and insurance. Ross currently oversees KMH Solutions, the firm’s business consulting practice delivering a wide spectrum of consulting services ranging from business process re-engineering, forensic accounting, litigation and bankruptcy support services, expert testimony, client accounting and risk management services. Prior to forming KMH LLP, Ross spent 15 years with Andersen LLP where he served as an audit partner on both large and small for-profit and not-for-profit organizations throughout Hawaii and the Western Pacific. In addition to his professional responsibilities, Ross has been active in both professional and community endeavors. He is a former board member and past president of the Hawaii Society of CPAs as well as a two-time representative on the governing council for the American Institute of Certified Public Accountants. Ross also currently serves as Vice President of Scoutreach and past president of the Aloha Council Boy Scouts of America, Chair of the Board of Trustees for Maryknoll School, Board member of the Hawaii Academy of Science and as an Advisory Board member for both the Shidler College of Business and the School of Accountancy. 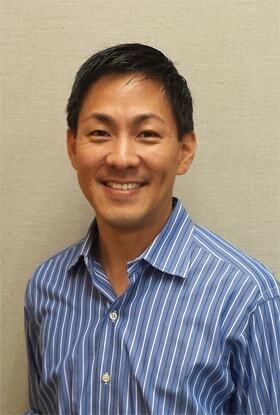 Jason Nagai is an Executive Director and Advisory Services Practice Leader in Ernst & Young’s Honolulu Office. Jason is based in Honolulu and has over 20 years of financial and information technology (IT) audit and advisory experience to clients in the financial services, healthcare, real estate, hospitality, power & utilities, not-for-profit, and airline industries. Jason has assisted his clients in a variety of activities including enterprise risk management, strategic planning and business transformation, governance risk and compliance, performance improvement, system implementations, IT security & privacy, internal audit, and regulatory compliance. In his current role, Jason oversees the activities of the Honolulu Office Advisory Practice which serves a variety of clients throughout the Pacific Area and West Coast of the United States. 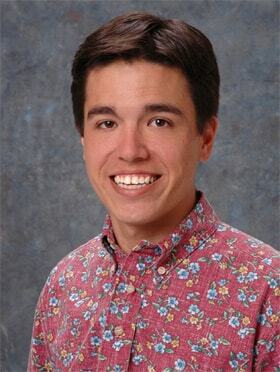 Jason received a Bachelor’s of Business Administration degree in Accounting and Management Information Systems from the University of Hawaiʻi at Mānoa Shidler College of Business. He is a Certified Public Accountant, licensed in the State of Hawaiʻi, and a Certified Information Technology Professional. Jason is active in various community organizations and currently serves on the following non-profit boards – Friends of the University of Hawaiʻi Cancer Center (Treasurer), Goodwill Industries of Hawaii (Executive Board), and Hospice Hawaii. Gary Nishikawa retired as an Audit Partner at Deloitte & Touche LLP in 2007. During his 40+ years with the firm, he served in many capacities, such as Partner -In-Charge of the Audit Department, Professional Practice Director, Personnel Partner, Recruiting Partner, Continuing Education Coordinator, and Campus Recruiter. Gary served clients in a variety of industries, such as SEC companies, health care, public sector, real estate, retail, wholesale, manufacturing, agribusiness, and not-for-profit. He was also designated as a litigation support specialist. Gary's involvement with the School of Accountancy dates back to the early 1980s when he was a member of several search committees for the Director of the School of Accountancy, and also served for many years as the Chairman of the School of Accountancy Advisory Board and the Friends of the School of Accountancy. Active in community affairs, Gary served as President of the Hawaii State Board of Public Accountancy, Hawaii Society of Certified Public Accountants, Hawaii Chapter of the Institute of Internal Auditors, Junior Achievement of Hawaii, Palama Settlement, and Makaala. He currently serves as Chairman of the Audit and Finance Committee of Bishop Museum, and is on the Advisory Committees for the Regulated Industry Complaints Office and for the Hawaii Post-Secondary Education Advisory Program, Department of Commerce and Consumer Affairs, State of Hawaii. He currently is a lecturer for the School of Accountancy. Mr. Okabe began his career in Public Accounting in 1985 with a predecessor firm of Ernst & Young. He left public accounting as a Senior Manager with EY and joined Kapi‘olani Health in 1999 as Director of Financial Planning. With the merger that formed Hawai‘i Pacific Health in December 2001 he was promoted to Vice President and Treasurer, directing the organization’s finance and treasury functions. Mr. Okabe was promoted to Chief Financial Officer effective in July 2004 and assumed responsibilities over the organization’s Finance Division. He serves on the board of the following affiliated entities: Hawai‘i Pacific Health Partners, Providers Insurance Corporation and United Laundry Services. 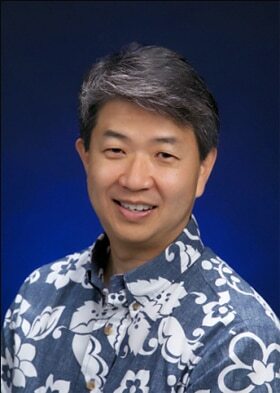 He holds a Bachelor of Arts degree in Business Administration from the University of Hawaii and received his Certified Public Accountant certification in 1991. Mr. Okabe is active on community and professional association boards and committees. He is currently a board member of the Chamber of Commerce of Hawai‘i and Diamond Head Theater boards and serves as a member of the Finance Committee for both organizations. He is also the Chair of the Healthcare Association of Hawaii CFO Roundtable and serves on the CFO Fellowship Program Advisory Group for The Health Management Academy. Rodriguez served as the managing partner of Ernst & Young from 1978 until retiring in 2007. His 40-year career in the accounting profession included serving companies in the financial services, healthcare, airlines, retail, hospitality, real estate and insurance industries. In addition to his work in audit-related matters, Rodriguez also provided services that covered taxes, internal control system evaluations, and other operational activities for local and mainland companies with global locations. Most recently, Rodriguez served as the executive vice president and chief financial officer of Central Pacific Financial Corp. /Central Pacific Bank from the summer of 2010 to the end of 2011. Today, Rodriguez operates his own consulting firm to help organizations in Hawai‘i with financial, organizational and other business matters. 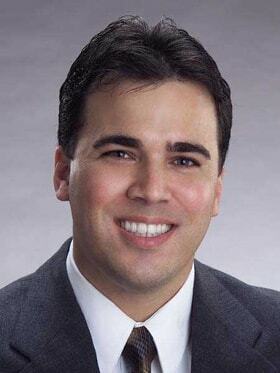 Rodriguez is involved with many local charities and community groups, and serves on the boards of Sennet Capital, Ho‘okele Health Innovations, LLC and Tissue Genesis, Inc.
Rodriguez received a BS in accounting from California State University, Los Angeles, and is a Certified Public Accountant and Certified Fraud Examiner. Lucas is a partner at Spire Hawaii LLP. He has over seven years of experience serving clients in the not-for-profit, government, commercial, real estate, hospitality, and renewable energy industries. At Spire, Lucas focuses on providing accounting, auditing and consulting services, including process improvement services to various organizations. Lucas received his Bachelors of Science in Accounting and Bachelors of Business Administration in International Business from Loyola Marymount University and is a licensed Certified Public Accountant in Hawai‘i and California as well as a Chartered Global Management Accountant. He is a member of the American Institute of Certified Public Accountants, the Hawaii Society of Certified Public Accountants and a member of its YCPA committee. Donny C. Shimamoto, CPA.CITP, CGMA, is the founder and managing director of IntrapriseTechKnowlogies LLC, a specialized CPA firm dedicated to helping small businesses and middle market organizations leverage strategic technologies, proactively manage their business and technical risks, and enable balanced organizational growth and development. Donny also works with larger organizations as a trusted business advisor, facilitating organizational strategic planning and execution, IT governance and planning, enterprise architecture, information architecture and assurance, business process improvement, and business intelligence initiatives. Donny was the first Certified Information Technology Professional (CPA.CITP) in the State of Hawaii, and is one of only four in the state. The CITP credential is a specialty designation of the American Institute of Certified Public Accountants (AICPA), that identifies Certified Public Accountants (CPAs) with the unique ability to bridge between business and technology; meeting the strict requirements for a CPA license as well as additional training and experience in: technology strategic planning, IT architecture, business process enablement, system development and acquisition, IT audit and control, and IT governance. The immediate past chairman of the AICPA’s IMTA Executive Committee, Donny has been highly involved in several AICPA initiatives including development of an IT Competency Model for CPAs, and redesign of the CITP Credential. Donny previously co-chaired the AICPA’s Business Intelligence Working Group, researching and creating practice aids in the area of Evidence-based Management, Application & Data Integration and Information Assurance. Donny has also been involved in the authoring of guidance published by the AICPA on IT Considerations for Risk-Based Auditing and Enterprise Business Intelligence, including doing numerous national and international webinars, and speaking at many national-level conferences. Donny obtained invaluable knowledge and exposure to a wide range of organizations (retail, hospitality, state government, defense, and higher education) while earning his CPA license as a member of PricewaterhouseCoopers LLP's Business Assurance Services, Operational & Systems Risk Management Services, and Management Consulting Services lines of business. With ITK he has expanded his industry expertise to include not-for-profit (social services, foundations, and membership organizations), professional services, small businesses, technology, and mobile professionals. Valerie is an audit director at Deloitte & Touche LLP and has over 30 years of experience in the public accounting profession. She currently leads the Japanese Service Group, Korean Service Group and Travel, Leisure and Hospitality Group in the Deloitte & Touche LLP Hawaii practice. She specializes serving clients in property and casualty insurance, real estate, hospitality, retail, government and employee benefit plan industries. Valerie is a certified public accountant, licensed in the State of Hawaii and received her Bachelor’s degree in Accounting from the University of Hawaii. She is a member of the American Institute of Certified Public Accountants, the Hawaii Society of Certified Public Accountants (Past President) and is on the Board of the Association of Government Accountants – Hawaii Chapter. 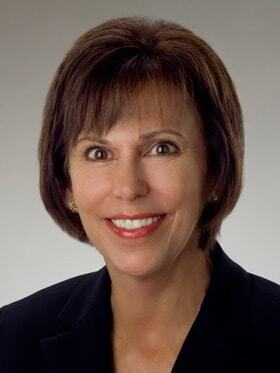 Karen Silverstein is a Principal and Chief Operating Officer at Accuity LLP, and has been with the Firm for 30 years. Among her current responsibilities are recruiting, human resources and office management. Previously, she was a manager in the Assurance practice of Coopers & Lybrand – Accuity’s predecessor firm. Silverstein holds Bachelor’s Degrees in Accounting and Psychology, and is a Certified Public Accountant, licensed in the State of Hawaii. Tax Principal | N&K CPAs, Inc.
Michael joined N&K in 1985 and now has over 30 years of experience providing tax, accounting, and management consulting services to various clients. He graduated from the University of Hawaii at Manoa with a Bachelor of Business Administration degree and earned his CPA certificate in 1990. He became a principal of the firm in 2010. Michael is a member of the American Institute of Certified Public Accountants, the Hawaii Society of Certified Public Accountants (Past President), and CPAmerica International. He is also a director with Harris Preschool. Howard has been a CPA in Hawaii since 1974. During his 28 years at Ernst & Young, he served in various capacities, including overseeing the Assurance and Advisory Services Group and directing human resources and recruiting for the Honolulu Office. 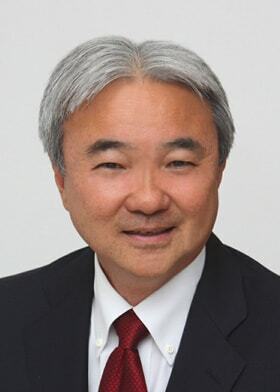 Since retiring, he has served as Vice President for Budget & Finance and Chief Financial Officer for the University of Hawaii System, Vice President – Finance and Chief Financial Officer of Hawaii Island Air, Inc. and Acting Chief Financial Officer for the Honolulu Board of Water Supply. 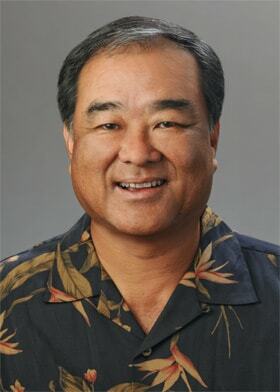 Howard chaired the State of Hawaii Board of Accountancy from 2001-2009 and is a past President of the Hawaii Society of Certified Public Accountants. He served on the National Council of the American Institute of Public Accountants and the Board of Directors of the Association of Government Accountants Hawaii Chapter. He has served on the boards of the Retail Merchants Association, the Hawaii Hotel Association, Hawaii Pacific Health and University Health Alliance. Since receiving his bachelor’s degree in accounting from the University of Hawaii at Manoa in 1972, Howard has continued his involvement with the University, serving on the boards of the University of Hawaii Alumni Association, UH College of Business Administration Alumni Association and the Friends of the School of Accountancy, and chairing the UH President’s Club Committee and the UH Distinguished Alumni Nomination Committee. He was inducted into the College of Business Hall of Honor in 1995. Gordon Tom is a manager in the assurance and advisory services practice at KMH LLP, one of the largest locally-owned public accounting firms in Hawaii. 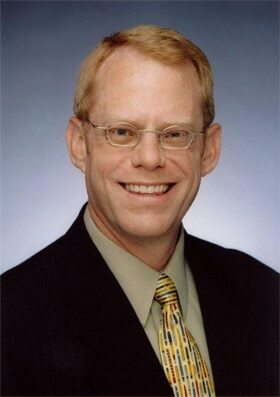 Previously, Gordon was a senior accountant in the Honolulu office of Deloitte & Touche LLP. He has 14 years of experience in providing assurance and attest services to public and private organizations in Hawaii and California, specializing in the insurance, hospitality, not-for-profit and employee benefit plan industries. Gordon received both his bachelor’s and master’s degrees in accounting from the University of Hawaii at Manoa Shidler College of Business, and is a Certified Public Accountant, licensed in the State of Hawaii. He is active in the community serving on the boards of the Hawaii Society of Certified Public Accountants, the American Marketing Association and the School of Accountancy Advisory Board of the Shidler College of Business at the University of Hawaii at Manoa. He has also served as President of the Hawaii Society of Certified Public Accountants and is a graduate of the Leadership Academy of the American Institute of Certified Public Accountants. Danny is an audit senior manager at KPMG LLP and has over 25 years of experience in the public accounting profession, specializing in auditing and accounting. He has experience in serving clients in the health care, hospitality, real estate, banking, insurance, and consumer market industries. He also has experience in serving publicly traded SEC companies and employee benefit plans. Danny is a certified public accountant, licensed in the State of Hawaii and received his Bachelor’s degree in Accounting from the University of Hawaii at Manoa. He is a member of the American Institute of Certified Public Accountants and the Hawaii Society of Certified Public Accountants and was formerly the treasurer of the Moanalua Gardens Foundation and a member of University of Hawaii at Manoa School of Accountancy Recruitment Board. Tom Wellman graduated from the Shidler College of Business with a Masters of Accounting degree in 1984. When asked why he selected UH, he responded, “The Masters of Accounting program was just a couple years old but the curriculum and faculty had already distinguished themselves as outstanding.” He also holds a Bachelor’s degree in Accounting from BYU. Since leaving UH, Tom has had an amazing accounting career. He’s been the senior accounting officer for two multi-billion companies and has gained a reputation for leadership, integrity and technical expertise. Most recently, he was the Chief Accounting Officer SVP and Controller of Ports America Group, leading its Finance Shared Service Center in Phoenix Arizona. Ports America, a multi-billion privately held corporation, is the largest marine stevedore operator in the United States. Previously, he was CFO and CEO of Hawaii’s gas utility, Hawai’i Gas and was VP, Treasurer and Controller of Alexander & Baldwin when A&B and Matson were a single conglomerate. Mr. Wellman is also an alumni of Deloitte’s Honolulu office. Tom was a director of Financial Executives International’s Phoenix and Hawaii chapters and was a trustee for the $4 billion ILWU-PMA Pension Plan. He has always had a philosophy of giving back to his community. In addition to being a leader in professional associations, he has served on the boards of the American Diabetes Association, Hawai’i Public Television, Aloha United Way and Junior Achievement of Hawaii. He is currently a member of the American Institute of CPA’s, the Hawaii Society of CPA’s, the Institute of Management Accountants, and the BYU Alumni Association. Mr. Wellman is a hall of honor recipient from the University of Hawaii’s college of business and a Business & Industry Hall of Honor recipient for the Hawaii Society of CPA’s Business & Industry Hall of Honor. While at Hawai’i Gas, he was a finalist for the CFO of the Year award. Originally from Wyoming, Tom currently lives in Phoenixville, PA and Phoenix, AZ. Carleton L. Williams, Founding Partner, formed CW Associates, CPAs, in July 2008 as the successor to the accounting and auditing practice of a local CPA firm he co-founded nearly 20 years earlier. Carl has over 35 years of public accounting experience, including 11 years with the international accounting firm of Deloitte, during which he provided audit and consulting services to a variety of entities throughout Hawaii and in the Pacific Islands. Carl is a certified public accountant, licensed in the State of Hawaii. He has a Master’s of Business Administration degree in Finance and a Bachelor’s degree in Accounting from the University of Hawaii. He is a past President of The Pacific Club, the Hawaii Society of CPAs, Easter Seals Hawaii, the Hawaii Chapter of the Construction Financial Management Association, and other Hawaii nonprofit organizations. Carl previously served on the Governing Council of the American Institute of CPAs, and currently serves on the Hawaii Board of Public Accountancy. Edwin began his auditing career with the General Accountability Office (GAO) and spent 25 years with the federal government. He served as an audit manager with the US Air Force Audit Agency; division director and headquarters desk officer with the Naval Audit Service; a foreign service specialist with the U.S. State Department; and regional inspector general for the Small Business Administration. After retiring from federal service in 2000, he served as director of internal audit for the California State University at Fullerton before moving on to the City of Palo Alto, host city for Stanford University. 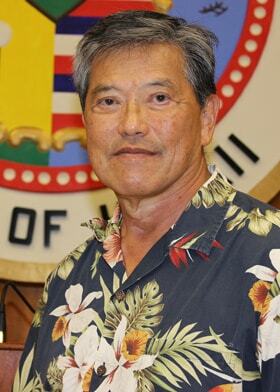 After retiring from California, he assumed the position of City Auditor for the City and County of Honolulu in 2010. He also served in the U.S. Air Force. His past audits covered a diversity of subject areas, including financial, performance, and information technology audits. The audits included utilities risk management, street maintenance, vehicle and city fleet operations, city planning and development review processes, refuse hauling, workers compensation programs, code enforcement, and joint cities programs. These audits gained national recognition for the City of Palo Alto by adding value to organizational operations and received several national awards for improving management and program processes. As city auditor for Honolulu, his office has introduced to the city several initiatives such as audit based risk assessments, service efforts and accomplishments performance reporting, citizen centric metrics, and value added performance auditing. His office has recently won national recognition, six national awards, a city council certificate of recognition, and been designated one of the 20 best practices audit offices in the country. Edwin has a bachelor degree from the University of Hawaii, a masters in finance from the University of Utah, and another masters in information systems analysis from the University of Southern California. His certifications include CIA, CFE, CGFM and CRMA, and citations in several Who’s Who publications.